The preference is also being driven by better returns from the office assets and a fixed income that is being generated by such investments. 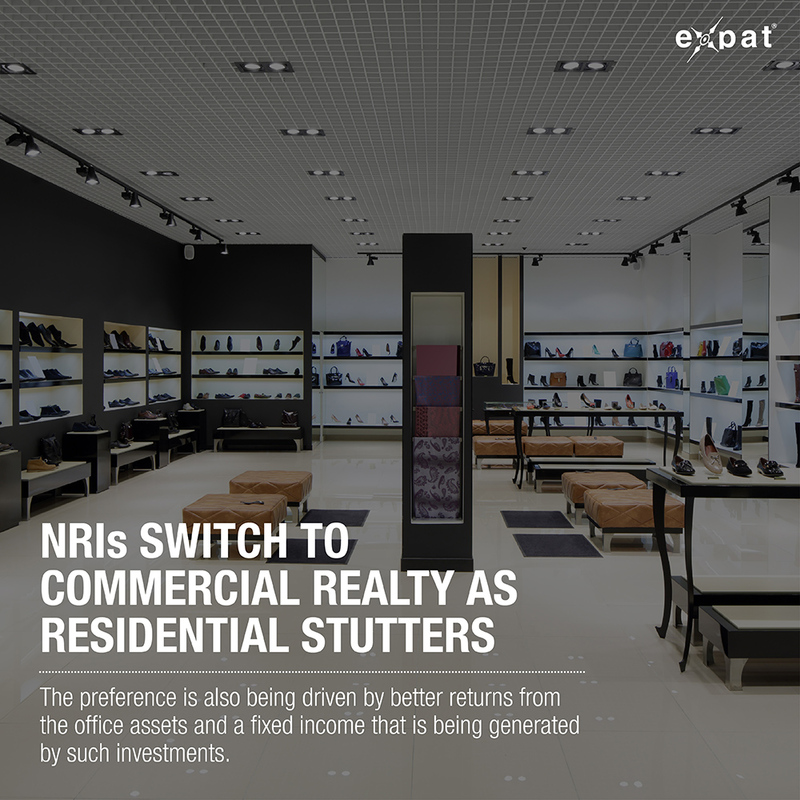 Non-resident Indians (NRIs) from the US and West Asia are now diversifying their asset exposure and investing more into commercial properties rather than residential due to high risk and the imminent slowdown in the segment. “Its returns outperform those of traditional fixed deposits (FDs), mutual funds and Sensex, with an average rental return of 7-8% and overall returns of 18-22%. 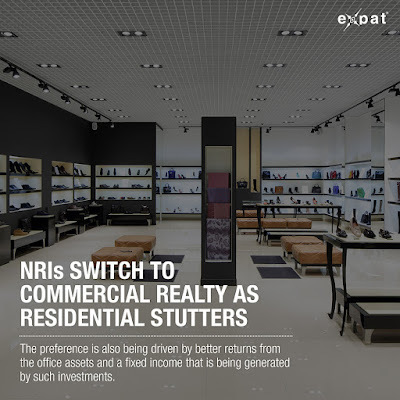 Currently, 40% of our NRI clients are investing in Indian commercial real estate through fractional investment,” said Kunal Moktan, co-founder of Propertyshare. Commercial office space vacancy has almost halved in the past six years due to robust demand from corporates. Office space absorption is not only strong, but pre-leasing is at an all-time high, which is an indication of sustained demand and occupiers’ interest in commercial spaces. “Over the last one year, we have sold around 1 lakh sq ft of small offices in Navi Mumbai. Of this, 15-20% have been bought by NRIs and this is a significant jump compared to our earlier experience. ,” said Ashok Chhajer, CMD, Arihant Superstructures. Commercial real estate investment in India is driven by leasing, which guarantees higher returns. Post-demonetisation, the NRI community is also focusing on mid-income and affordable residential segment along with a special preference for commercial segment. “We have concluded a fairly good number of transactions between NRI and HNI clients last year for our commercial portfolio. NRIs are increasingly giving preference to invest in Indian commercial real estate market as comparative yield incomes are less in international markets like Dubai and London,” said Bijay Agarwal, MD, Salarpuria Sattva Group. According to CBRE, a real estate consultancy annual absorption of office space also continues to be robust led by a growing number of mid-sized and smaller transactions with the segment clocking 18 million sq ft of absorption in the first half of the 2017. In contrast, residential real estate is facing challenge of high inventory, lower consumer Interest and sales. The second quarter of 2017 marked a record low for units launched, over 20,000 new units, across India with unsold residential units recorded at 4.2 lakh, a fall after 30 months, showed data from Anarock Property Consultants. How much tax do you pay on real estate?